BlogHome » QATAR AIRWAYS TITLE SPONSOR FOR CAPTAIN’S PRIZE 2018. QATAR AIRWAYS TITLE SPONSOR FOR CAPTAIN’S PRIZE 2018. 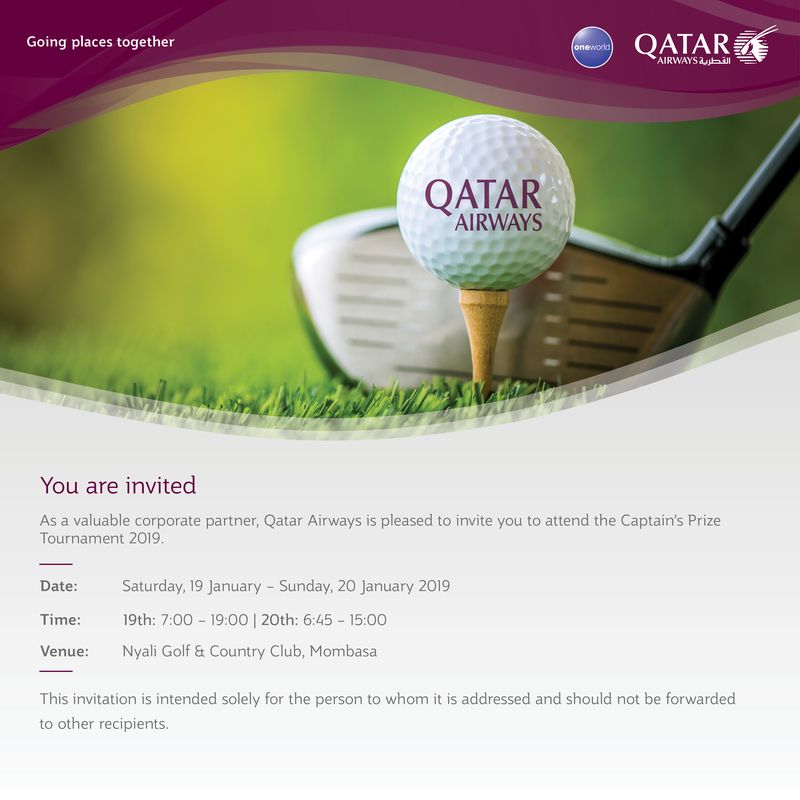 Qatar Airways is pleased to announce that it is the Title Sponsor of the Captains Prize 2018 Golf Tournament, taking place on 19 January at Nyali Golf & Country Club in Mombasa, Kenya. The prestigious tournament is one of the most popular sporting events in Mombasa, attracting 200 local golfers, many of whom are renowned CEOs, Managing Directors, Government Officials and Entrepreneurs. Qatar Airways Commercial Manager Kenya, Mr. Sherif Kamel, said: “Qatar Airways is thrilled to be the Title Sponsor of this year’s Captains Prize 2018 Golf Tournament, a key event here in Mombasa. Our sponsorship demonstrates our commitment to sporting events as a means of bringing people together, a motto that we as an airline abide to. In December 2018, Qatar Airways launched direct services to Moi International Airport, strengthening its presence in Kenya. Passengers can now choose from four weekly flights between Mombasa and Doha, in addition to three daily flights between Nairobi and Doha. In total, the award-winning airline currently operates 25 weekly flights between Kenya and Doha, providing the people of Kenya access to the airline’s extensive global network of more than 160 destinations worldwide. The airline currently operates its service to Mombasa with an Airbus A320 aircraft, which features 12 Business Class seats and 120 seats in Economy Class. Qatar Airways is one of the world’s fastest-growing airlines, with a modern fleet of more than 200 aircraft flying to business and leisure destinations across six continents. Qatar Airways was named ‘World’s Best Business Class’ by the 2018 World Airline Awards, managed by international air transport rating organisation Skytrax. It was also named ‘Best Business Class Seat’, ‘Best Airline in the Middle East’ and ‘World’s Best First Class Airline Lounge’. FOCUS! EYES ON THE BALL AGIL! 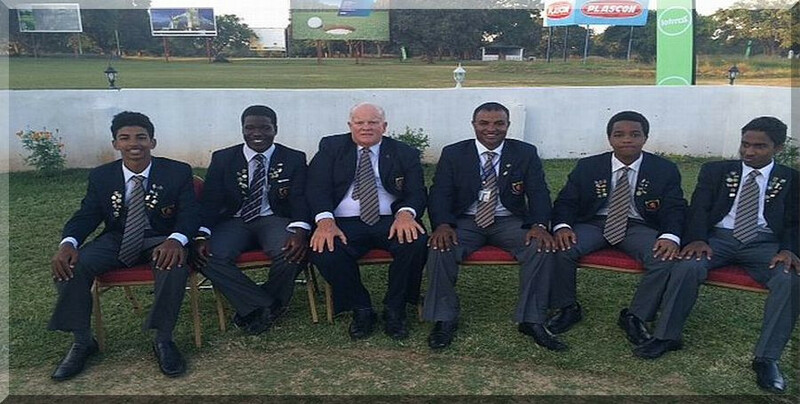 MR JOHNNIE WALKER – DOMINIC MAKAU. Designed By: Byte Brain Limited. All Copyright 2018.